ang napili ng mga taga-hanga: YES! I WOULD pag-ibig TO SEE madami SEASONS!! ang napili ng mga taga-hanga: Freedom is an illusion. All that matters is staying alive. What happened to Sofia Lugo, Lincolns girlfriend from the nakaraan seasons? Deborah, who suffered from a puso condition in childhood, died unexpectedly. The actor had to interrupt his work in Los Angeles in the series "Chase", which started working recently. Remember Paul Kellerman played sa pamamagitan ng Paul Adelstein, well he's alive and back in action. This time offering the Prison Break boys a 'Clean Slate'. I know. Since Prison Break concluded its four-year run tonight sa pamamagitan ng sending its chiseled protagonist to the big slammer in the sky, you're grieving. You want answers. You want justice. You want someone to pay. Prison Break the one ipakita we could exspect to suprise. A ipakita full of conspiracy and mystery but at its puso its a ipakita about what people would do for their family. This is what made it great for me as I would do almost anything for my freinds and family. 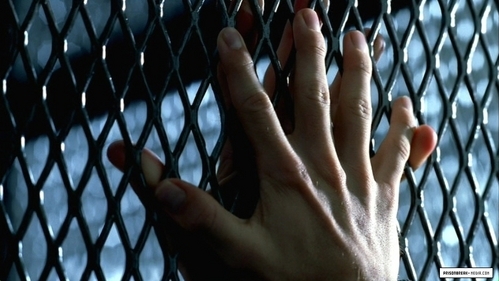 a poll ay idinagdag: Prison Break event series (season 5): What did you think of the ending? a pop quiz question ay idinagdag: Who mga panipi this "One thing is for sure you're as pretty as they advertised"